There are those of us who always knew we'd end up homeschooling our children. We're the ones who took our kids to the library more often than we took them to the park and who made sure the nursery blocks were the kind with the alphabet printed on the sides. Some of us might appear rather opinionated and independent, and it didn't surprise anyone when we chose the homeschooling route. Often, our circle of friends is populated with many homeschoolers, so that option enjoys acceptance and maybe even a bit of status in our crowd. I suspect we're in the minority. Most people grow up assuming their children will attend the public schools. Since that is how the majority of students are educated, parents don't often consider that they have a choice . . . until something goes wrong. "Accidental homeschooler" is a phrase coined by Time4Learning to describe these disappointed parents. Perhaps their child had special needs that weren't being adequately addressed by the school system. Maybe there was a personality clash with a teacher or principal. Often, their very typical student just didn't fit in the "average student" mold that government schools are based on. Some parents say their methods of dealing with a child's unacceptable behavior weren't being reinforced at school. Others tell stories of very bright students who aren't being challenged, or of nightmarish social experiences with cliques or even gangs. Whatever the reason, the parent's expectations of the public school system weren't being met. They're angry and disappointed. They might feel betrayed. They aren't prepared to teach their student, but they see no other choice. They make the decision reluctantly, and with much trepidation. Friends and family may have blamed them for their child's challenges to begin with, and now they face criticism of their decision to homeschool. No wonder they can seem defensive at first! In chatting with many accidental homeschoolers on Time4Learning's parent forum, I have noticed an interesting thing. The angriest homeschoolers usually end up as the most joyful homeschoolers! 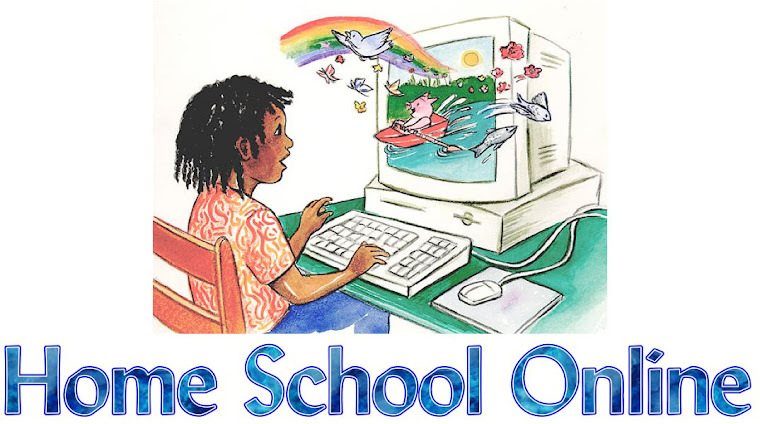 Where we who have homeschooled from the beginning only have memories of endless days of home education (and, face it, anything gets old after awhile), the accidental homeschooler has something for comparison. In most cases, the contrasts between the days of public school and the days of homeschool are strikingly apparent, and the accidental homeschooler is in the position to thoroughly appreciate the change. I've enjoyed reading the homeschool stories on the parent forum over the past few years. New stories continue to be posted on a regular basis, from parents who are eager to tell "their side". I've especially enjoyed the opportunity to maintain contact with many of these families and see the positive impact homeschooling has had on their lives. Time4Learning's founder is correct when he claims that accidental homeschoolers have much in common with those who intentionally set out to home educate. We all just want the best for our kids. Do I LOOK like Superwoman? I Don't Want Well-Rounded Children! Did You Just Call Me Eclectic? Top "10" Tips For A Successful Homeschool! What Type Of Learner Do You Have? Homeschooling Children Who Learn "Differently"
Teaching Our Children To Be Thinkers! Can Every Family Afford To Homeschool? Writing Instruction: Where's the Answer Key?